May 68. This volatile period of civil unrest, massive strikes and student protests brought the entire economy of France to a virtual halt. May 68. 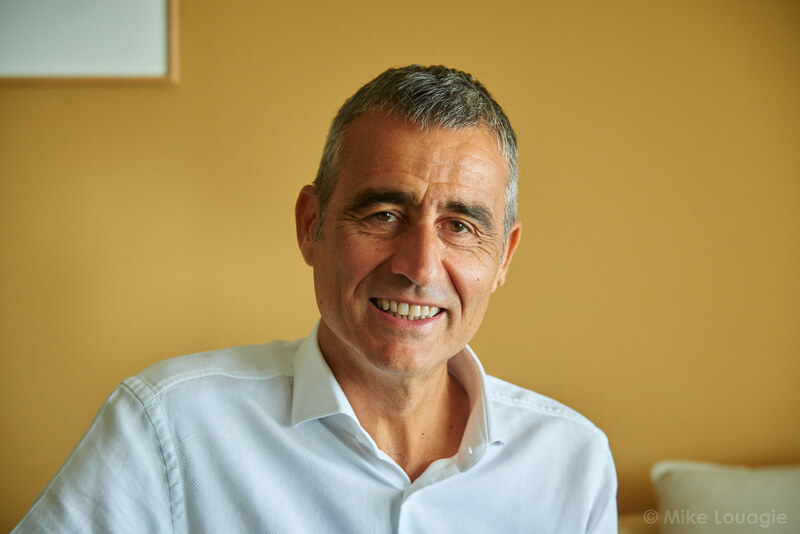 Mr Pascal Lota, a Corsican entrepreneur starts a ferry service between his hometown of Bastia, and Italy, almost on the very day that France is paralyzed by 10 million strikers. Ferry Shipping News had the pleasure to visit Pierre Mattei, Corsica Ferries’ CEO, in his headquarters in Bastia. Mr Mattei, can we say that Corsica Ferries is a “soixante-huitard” (an expression to denominate people who took part at the events of May 68)? Yes, we have always been disruptive. Thinking out of the box has been, and still is, one of our trademarks. But in the past it wasn’t easy. It was more than a simple commercial competition. It has been a daily fight. Our dynamism disturbed many people and many tried to sabotage us. Although journalists were always happy to use the expression ‘naval battle’ in their headlines, we have always been firm believers in a healthy commercial competition. Competition is essential to improve ‘the system’. I believe that Corsica Ferries has created the necessary framework. It was a combat in favour of competition, and it was no easy, because we did experience quite some mudslinging. Was the end of the SNCM something logic in this battle? SNCM could have survived. Unfortunately the company’s shareholders and leaders prevented it from surviving. The framework for the ferry operations after the year 2001 was already known in 1992. It means the company had ten years to get ready. It was known that freight would be favoured over passengers. If you know this, and you have a decade to organize, then you take the right action. They did the opposite. Instead of ordering ro-pax ferries, the company decided to order the cruise ferry NAPOLÉON BONAPARTE in a State-owned shipyard. It would protect them socially and politically. At least, that’s what they thought. Instead it was a millstone around their necks. Building the ship in Saint-Nazaire, at a higher price, might have helped the yard but why was it necessary to be hypocrite and say it was to help Corsica? You as a company saw the SNCM drama unfolding. Did others in France, or more specifically on Corsica, see this problem? Certainly. But there was this impact of the State-owned company on the public opinion. The political leaders were afraid of the social blackmailing. It was easier to say that we –Corsica Ferries– were the problem, than pointing out that the SNCM was not getting ready for the new rules. Were the attacks on your ships, flying the Italian flag, one of these issues? The flag issue is ridiculous. Ask French companies how much tax they pay. French shipowners do not pay an income tax but a flat rate based on the ship’s tonnage. 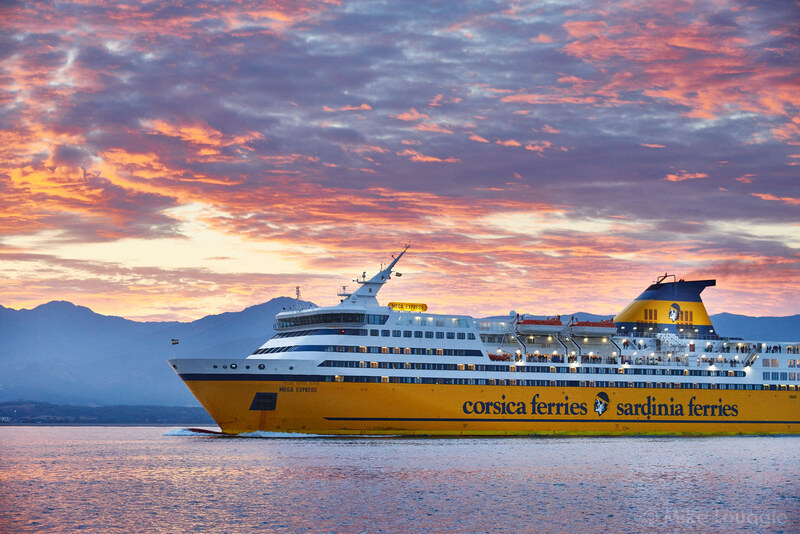 Is Corsica Ferries a low cost company? In a way, yes. We are operating our ferries with a high efficiency and frequency. We use cheaper secondary ports. We have been early adopters of the Internet. We were the first ferry company to have an online booking tool with secured credit card payments. We are not a low cost for everything. It is important to note that we do apply French staffing costs. And what we sell on board is of high quality. Let’s say that we are closer to an EasyJet than a Ryanair. 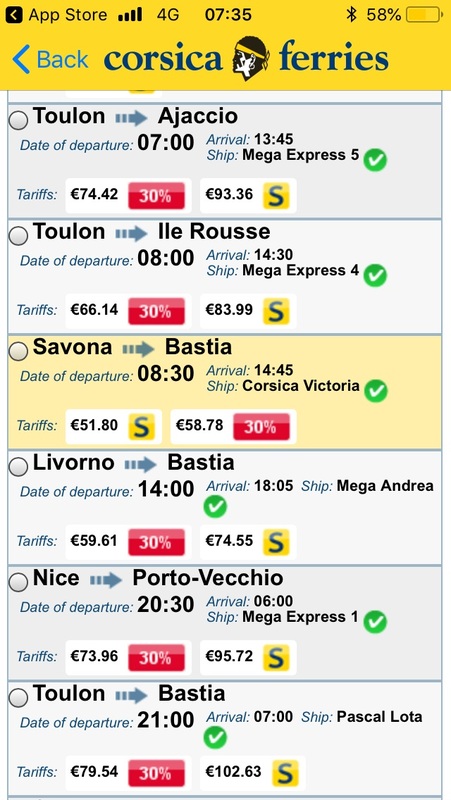 When did Corsica Sardinia Ferries start to think low cost? We were already applying this thinking before the boom of the ten-euro flights. Our decision to sail to Golfo Aranci, instead of Olbia, dates from 1996. The opening of Savona is from 1998. It was to avoid the nearby port of Genoa, which was an expensive port. In 2001 we decided to sail from Toulon, on mainland France. Even for our newest destination, Mallorca, we opted for the port of Alcudia instead of Palma de Mallorca. The sailing distance is shorter and the port is less expensive. Something innovative we really did as well was the introduction of the day sailing. Before, there were only night ferries, leaving Marseille at 19:00 and arriving in Corsica at 07:00. We ordered the MEGA EXPRESS ferries with the basic idea that their higher speed (28 knots) would allow us to do one return trip a day. The stronger rotation of the assets can be seen as a low-cost characteristic. Corsica Ferries has a fleet of 13 ferries, sailing between 13 ports. The first two MEGA EXPRESS ferries were built for you. The PASCAL LOTA is the largest and most modern vessel in the fleet, and then you have a couple of veterans too. The veterans are well maintained and as long as we can use them we will use them. They are not over-utilized. The big question mark is 2020. We have to see which fuels will be available. There might be some kind of a crisis during a couple of years, and we all will have to see how we can adapt. Step by step we are coming closer to ordering new ships. We foresee them to be LNG-ready, scrubber-ready and SCR-ready. This leaves many options open to adapt to the rules and the environmental framework, even during the construction. Presently we are negotiating with a shortlist of less than ten shipyards. We are fine-tuning our specifications and if everything goes well we hope to launch something by the end of the year. It is complicated because there are quite a lot of unknown factors. Such as, in which ports will LNG be available? To get a broad view on the subject we are attending all related conferences, but it remains difficult. We are dependent on others. Will there be LNG? Will there be fuel with a sulphur content of less than 0.5%? Where will be able to discharge the sludge from the scrubbers? You see: many questions for all of us. We have an additional challenge: we are not one ship, one route. Our ships rotate quite a lot. It makes the bunker issue complex. When are your new ships planned for? When talking about LNG we see that Norway is having more electric ferries than LNG ferries, as if LNG is being phased out. How do you see this evolution? Let’s not forget that LNG is good to reduce SOX and NOX, but not the CO2. However, it is the best alternative for the moment. Any other solutions to become more sustainable? Like cold ironing? It doesn’t make sense here (on the island). If the electricity has to come from the power plant in Vazzio, for example (near Ajaccio). The power plant burns heavy fuel, while we burn lighter fuel. And the loss of energy is considerable. We are happy to see that some harbors are taking initiatives in order to deliver a cleaner energy. Ajaccio made a test last week with a small LNG unit. Toulon has also a project too. This has to be encouraged and we will be more than happy to use it when possible but there are still many developments to wait for, before it is effective. This summer you started a new route to the Balearic Island of Mallorca. Was it successful? We did even better than anticipated. We are very satisfied, also because it attracted new customers. In fact this is the only international ferry route with the Balearics. We will continue to expand our route network and have now asked the authorities to open a route on Menorca, in the port of Ciutadella de Menorca. It’s the western port. The other port, Mahon, would need a detour and is therefore less interesting. For next year we also just announced a new route to Sicily. We will sail from Toulon and Nice to Trapani, as from 21 April. What kind of main challenges do you foresee? Fuel is definitely THE big challenge. Price will rise, undoubtedly. Scrubbers will need time to find their way in the Med, and it is not a perfect solution. It can only be a temporarily solution, and only on existing vessels. Future ships will be powered by LNG or by fuel with a sulphur content of less than 0.5%. The battle will be about transporting the passenger, with the lowest ecologic footprint. In the meanwhile several planes have flown above our heads, and nobody says a thing. Our environmental footprint needs to be reduced, for sure. You have to explain that you do everything what is required, and what is possible. The problem is that people often want one extraordinary measure, which doesn’t exist. It is not one solution, it is a whole array of measures: trim, silicone paint, slow steaming, staying less in port. We do compensate our carbon emission. Some time ago we started the project “Corsica Ferries Forests” in Peru, together with the environment organisation “Pur Projet”. Guests are invited to donate money to take part in this project, as a way to reduce the carbon footprint of their journey. You should not refuse the environmental debate, and you have to deliver answers. For example, yesterday we responded when a newspaper was saying that the PASCAL LOTA is the most polluting ship of all ferries here. Come on, where did they get that from? This modern ship comes from the Baltic! We (ferry operators) are all having the same issue. I also think it doesn’t make any sense to say that ‘I am greener than you’. The public judges us globally. Competition should not play here. We all have to be righteous and solidary. If one of the companies is not behaving, all will suffer. Having a level playing field helps. The rules have to be clear, known in advance, and we need to be able to adapt. If suddenly rules change locally, for example in one port only, then it is going to be difficult. Still talking about challenges, how do you see the sustainability of tourism? It is changing and it is a great challenge. Our ferry company is very much based on tourism. Sardinia, Corsica, Elba and the Balearic Islands are very touristic destinations. I think tourist flow management is something that will be necessary. It is possible. If Disney can manage tourist flows for certain attractions in Eurodisney, why wouldn’t it be possible for marquee destinations, like the Mont St Michel in Normandie or the Restonica Valley on Corsica? I also believe people are not asking for mass tourism. All key players in the travel industry have a role to play. Statistics prove that ferry passengers stay longer than flying visitors. Ferry travel is a form of sustainable tourism. Do you see a change in the way holidaymakers experience Corsica? The supply has changed. The 7-day beach holiday has been replaced by a whole array of other activities and possibilities. Thanks to the increased number of tourists, locals were able to invest more, which created new markets. Does the tourist still prefer his own car, rather than flying and rent a car? Yes. It is so simple to be able to carry all these extra things with you, in your own car, like the bikes of the children etc. Rental cars are really for short stays. People coming by ferry stay longer. How did the number of tourists evolve during the last years (on Corsica)? In general there was a rise, however, the airlines brought more people and in fact created a new market. It is often people who take to opportunity to travel cheaply and to have a short stay on the island. When is your high season? Do you see an expansion of this season? This year was phenomenal, because of a coincidental good distribution of public holidays. May was like July. Just because we celebrated the end of WW2 and Ascension Day during the week of 5 to 12 may we saw a rise of 20%. Normally the season starts at Easter and ends in October. We see a new trend, with more people at the end of the season. 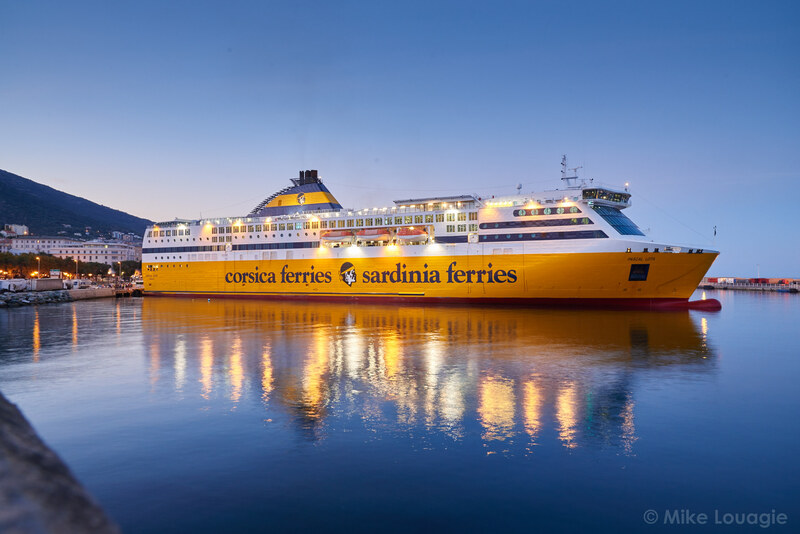 Corsica Ferries is active on social media. I have been through some Facebook posts and was shocked by some comments. Some people are just brainlessly shouting. How do you handle these online extremists? It is very difficult to handle. Facebook is like a pub, and you have to accept that some people shout and are being gross. I believe there is a growing maturity, where most people understand that some comments are violent. If what they say is pertinently false, we respond. But it doesn’t make any sense to answer to insults. If it is a matter of quality we try to answer too. We are not always right of course. But you cannot manipulate the debate. You have to let live the social media and you have to cope with it. You have obviously put a lot of energy in your booking app. Can you tell what the strong point is? Via our app we wanted to digitalize the customer care by offering one-to-one solutions. For example, if we have a delay or a technical issue, we send a clickable link to our customers. It allows them to find alternative solutions. It is something we developed during our crisis with PASCAL LOTA, which suffered a technical breakdown. We had to inform 80,000 passengers. “You are booked on the Bastia departure of August 3. Unfortunately you will not be able to sail on this one but you can change to any of these (suggested) routes.” It worked really well. If the initial voyage was more expensive we refunded. End of 2017 the ownership of the company changed. Who are the owners now? It was a management buy out by the five highest-ranked managers of the company. I am co-owner with three French and one Italian. A last, personal question: doesn’t this huge responsibility as owner prevent you from sleeping? It doesn’t really change. I started as a CEO at a fairly young age. I was director of Corsica Ferries in 1993, and CEO in 1998. My everyday life hasn’t changed. I have always been fighting for the company, even before I was the co-owner. Last Saturday I was here at two o’clock in the night, because there was an issue. I have always managed this company with my guts, and that’s why we didn’t want the company to be sold. We wanted to preserve its DNA. We decided to keep the disruptive spirit, as in May 68. Thank you Mr Mattei, and good luck with the decision for the new ships. 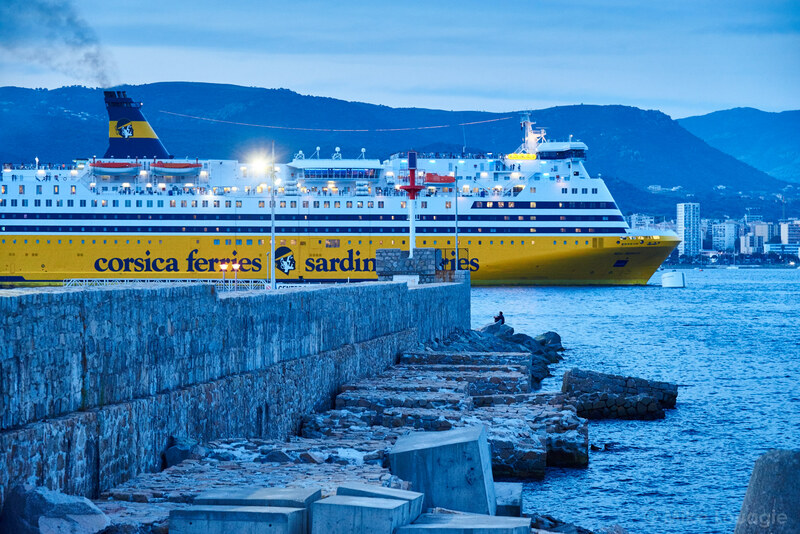 Corsica Ferries has developed an easy-to-use mobile app. The customers get a menu of ferry crossing possibilities, with the relevant price information. The next step is choosing accommodation, breakfast, dinner etc.